The philosophy of the Montessori Academy of Windsor is to guide the student in developing a life-long love of learning and to become an independent, compassionate and contributing member of society. 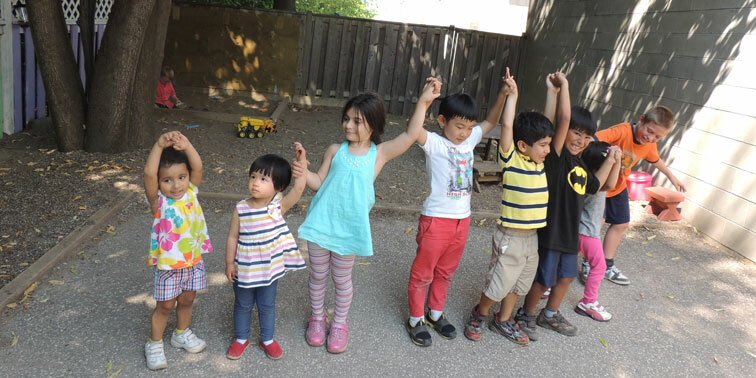 The Montessori Academy of Windsor provides quality Montessori education in an environment, which fosters a child’s love of learning and a respect for self, others, community and the world. We are dedicated to promoting a child’s physical, emotional, and cognitive development both intellectually and socially. Our emphasis is to arouse the child’s interest, to stimulate and to provide a learning atmosphere, and create within each child, a deep sense of self-confidence. The Montessori Academy of Windsor classroom is laid out in a way that is both soothing and inspiring so that the children can quickly set goals for themselves based on what they hope to achieve. The materials, which are based on the curriculum of the public school boards are handcrafted with a unique approach which is practical for teaching theories in math, language, geography, and history, and are laid out in a pre-planned sequence. The focus is the child at work rather than a room cluttered with rules, lessons, and distracting colour. Our vision is to provide an environment of concentration and stimulation thereby creating productive children. The classroom provides each child with an appreciation for their differences. They quickly learn what each others limits and strengths are and become nurturing thereby bringing out the best in one another. We typically overlap 3 age groups together to create this environment of socialization and learning. The children progress as individuals. They set goals and move forward at their own pace with individual instruction along the way and are free to advance as quickly as they master each successive level of learning. They are not limited to a curriculum that decides how far they can go. The role of the teacher has a huge impact in the child’s successful growth. She is a source of direction and information but there is more time for discussion, to raise questions, and find answers. The child is encouraged to refer to different resources for pertinent information. Issues are approached in a mature manner, the child’s opinion is heard and respected. We encourage the child to think further on matters and to discuss their concerns with others in order to help broaden their horizons. We stand back and observe. We are aware of their movement and not always so quick to interject or assist when they need help. As the child matures, the teacher is regarded more as a compass offering direction rather than a library of information with all the answers. It is imperative that the teacher introduces field trips with the children so that they can experience what they have learned and learn proper conduct during such outings. We allow the child to become more creative. They learn to imagine what could be with the knowledge they already have of the world. The teacher allows the child learn independently through trial and error. Your child’s teacher will be a friend, an advisor, a silent partner, and a confidant.